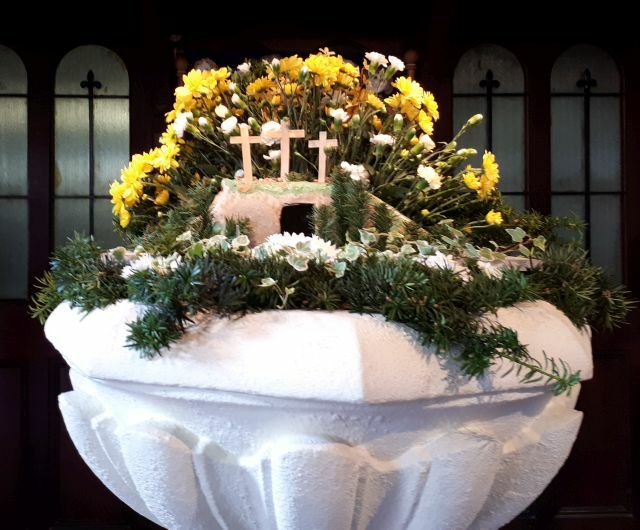 Easter Day Holy Communion at St Bart’s. April 2019. 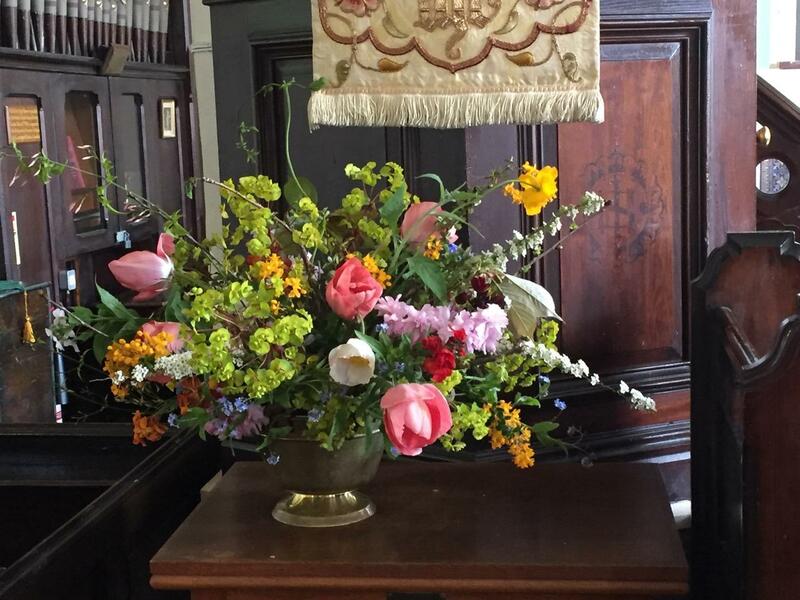 The array of beautiful flowers arranged by Audrey, Kathryn, Jean and Elizabeth adorned the church and with the sun streaming through the windows it was a perfect start to Easter Day. 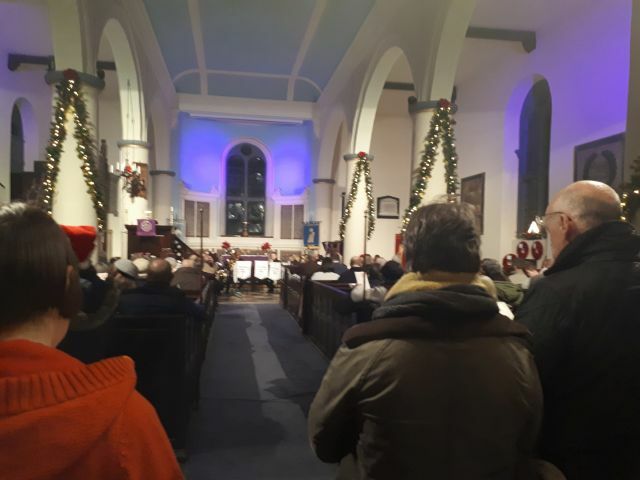 Together we announced the resurrection of the Lord and visitors from the canal on holiday, joined our usual parishioners, to celebrate Jesus’s triumphal rising from the dead. Good Friday – Follow the Cross. April 2019. The Cross Country Group of Parishes came together to Follow the Cross through the four parishes on Good Friday. 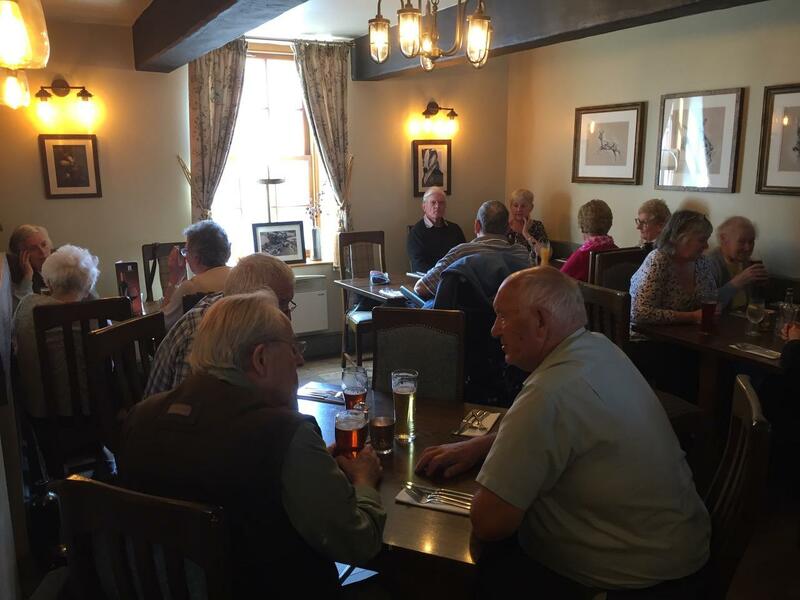 The day started with coffee at Worleston and finished at The Badger in Church Minshull for lunch. 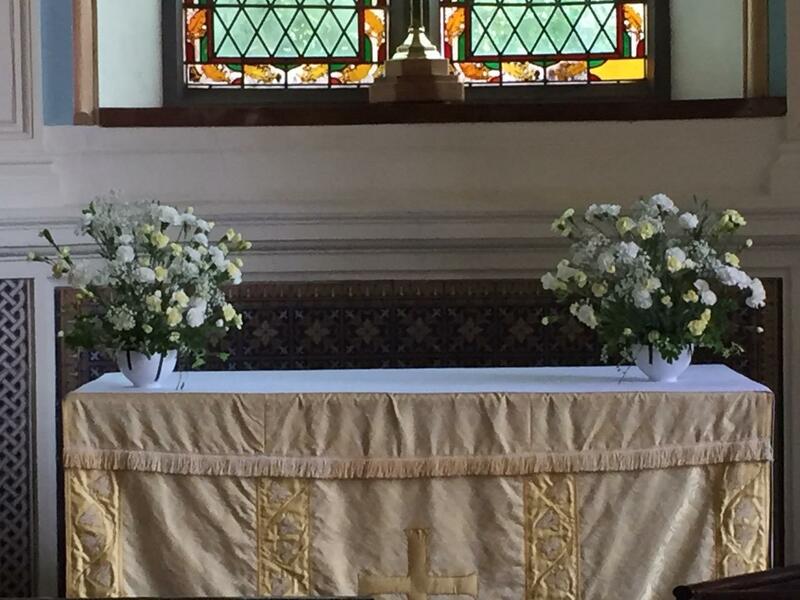 The vicar then led a period of silent meditation in St Bart’s. Please [click] the below link to view the report. Lent Lunch – 19th March 2019. 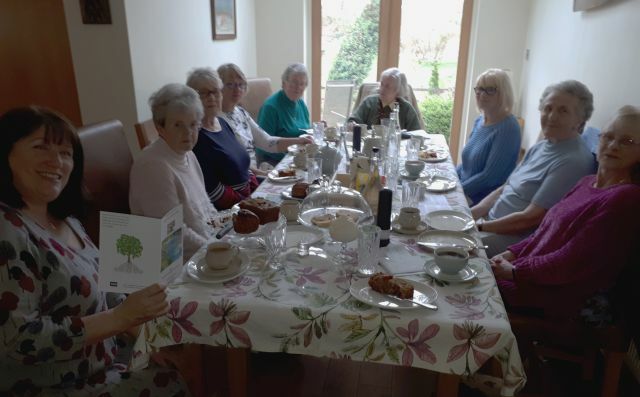 Jane Hough kindly opened her home for a ‘Soup and Roll’ lunch that grew to a wide selection of cakes too. This was another ‘Action not Words’ objective from Cafe Church earlier in the month and ten of us attended. The Lent subject was based on Proverbs 13:20 & 18:24 and John 15:13 and as a group of friends we discussed the importance of friendship and many of the things that had been done in the recent past to benefit the community and church. We also brought up those who need our help and prayers now. The lunch was very enjoyable, so thank you Jane and it was decided to continue these at 4 to 6 week intervals. Cindy volunteered to host the next one after Easter so watch this website for details. “Action not Words” – Litter Pick – 17th March, 2019. Following on from last Sunday’s Cafe Church when we talked about caring for the environment, today saw the first suggestion put into place. 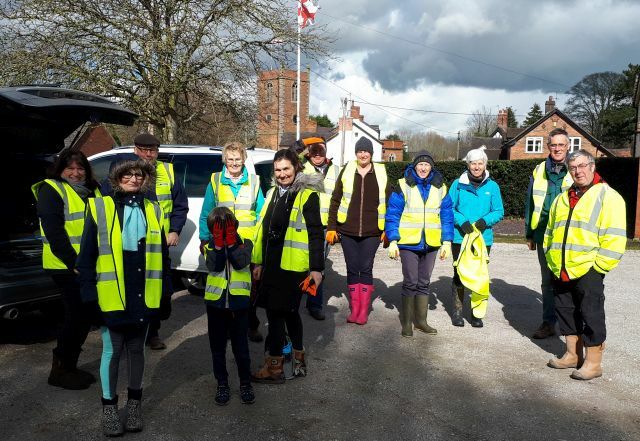 A host of villagers met at 2pm in the Village Hall car park to don High Viz jackets and be issued with litter pickers and large, tough bin sacks. Four teams set out, to be dropped off at various points around the village to collect all the rubbish from the hedges and verges of several of the roads. After two hours in the sunshine and showers, Cross Lane from the border of Worleston to the village centre, Minshull Lane and Cross Lane from the village centre to the United Reformed Church in Minshull Vernon were all litter picked. Twenty two sacks of rubbish were collected and taken to the tip. 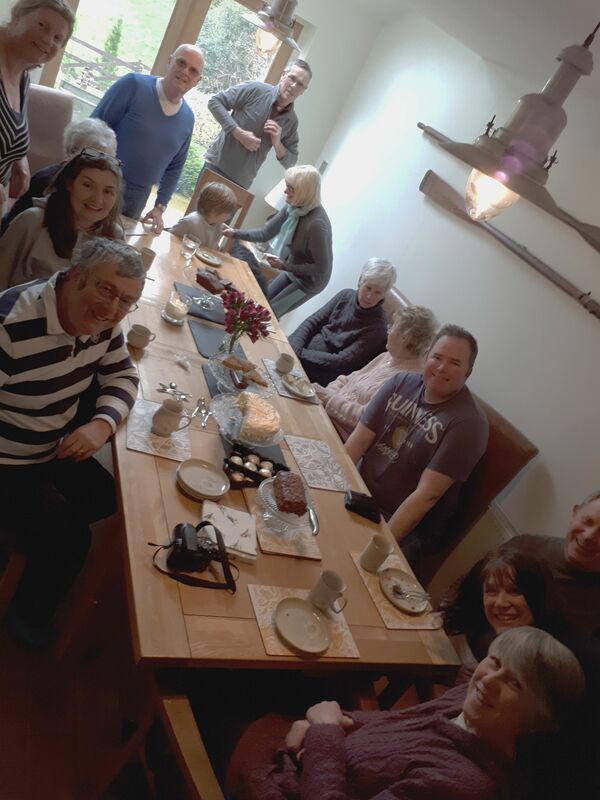 Thank you to Tim and Jane Hough who organised the event and for providing welcome refreshments afterwards in their home. Thanks also to all who helped. 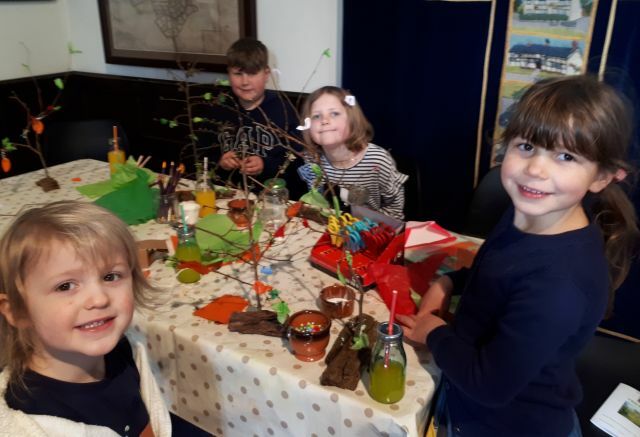 Cafe Church – The Tree of Life – 10th March, 2019. The subject today ranged from the Tree of Life and it’s biblical meaning to caring for our environment. The was a good discussion during the interval on ‘Action not words’ and when these ideas were collated they included; planting trees, insect friendly planting, smiling at people, providing village transport, another defibrillator, a fellowship lunch open to everyone, improving pathways, mental health first aid, sign posts, Kindness of neighbours and litter picking. The defibrillator has been handed to the parish council with suggestions, the first fellowship lunch has been organised for the 19th March and a Litter Pick has been arranged for Sunday 17th March, along Cross Lane. Many volunteered immediately and equipment will be provided, for more information please [click] this link. The children made their own model trees and covered them with tissue paper leaves, flowers and fruit. 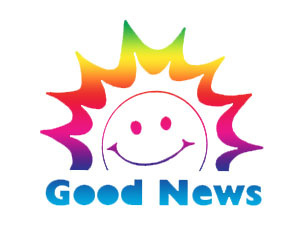 Church initiative – Litter Pick information. 17 March 2019. Following the Cafe Church discussion on “Action not Words” surrounding our own environment, it has been decided to Litter Pick Cross Lane from the Worleston Border to The Village Centre on Sunday 17th March at 2:00pm and all those interested should assemble at the Village Hall Car park 5 minutes before start time. 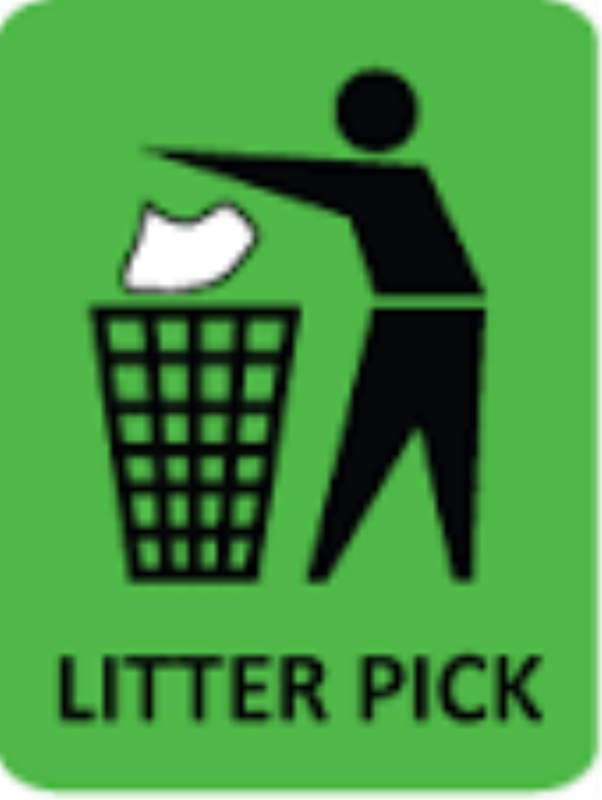 Litter Pickers and Bags will be provided and all rubbish will be recycled where possible. Tea or Coffee will follow at “The Spinney”, Cross Lane, Church Minshull. 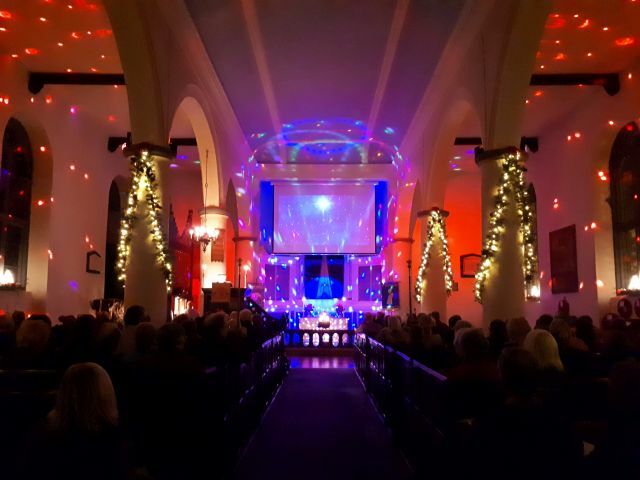 There was a full congregation for this years service which was the traditional mix of lessons and carols with our Sound & Light extras. 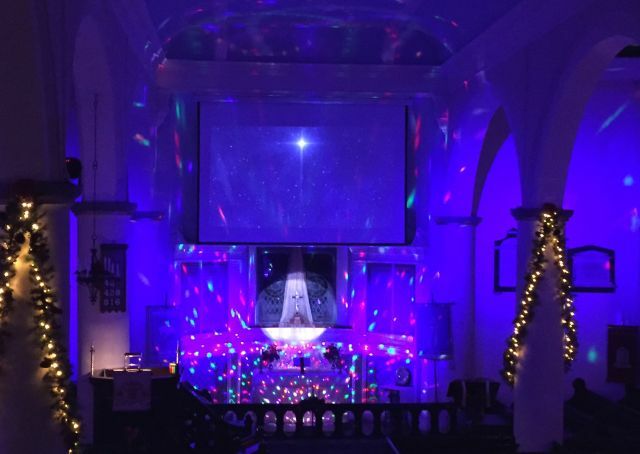 However, this year there was a live soloist, Lucy Barlow, who beautifully sang three seasonal songs. 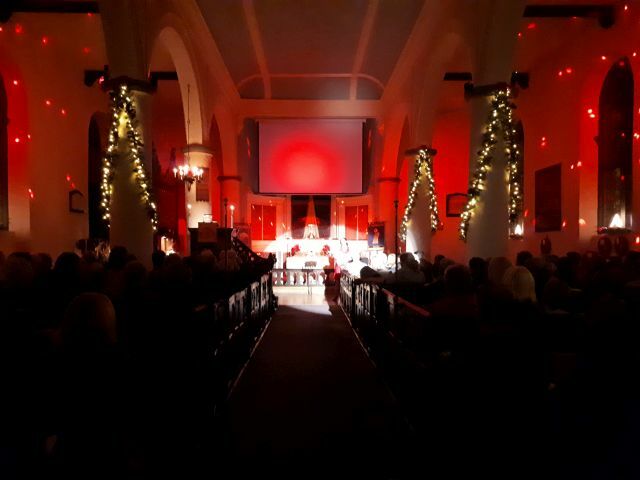 Ellie and Sam lit the final advent crown candle, the Reverend Anne did the bidding prayer and blessing and there was a surprise rendition of ‘Do They Know it’s Christmas’ by villagers at the end. Merry Christmas to you all and may 2019 be a Blessed Year for us all. 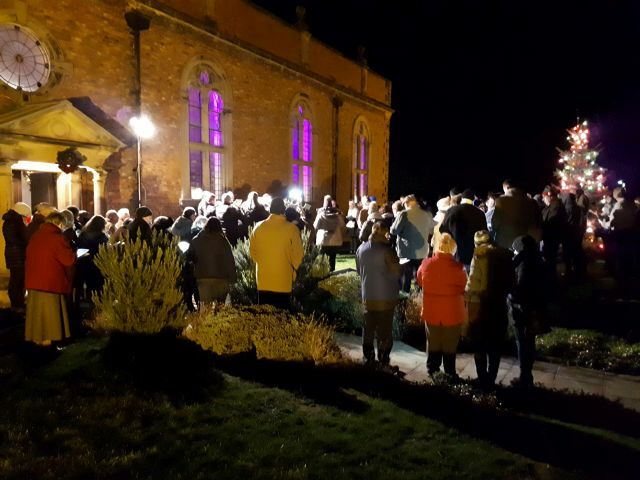 Carols Round the Tree – 13th December, 2018. 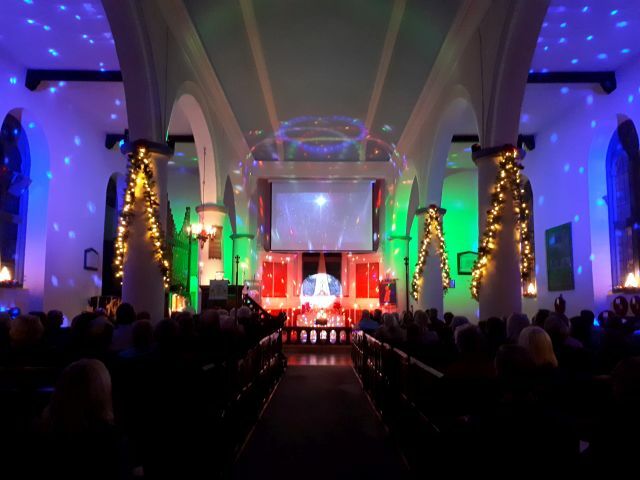 Another record crowd turned up for this years carol celebration, many wearing their Christmas jumpers. The TCTC Group Brass Band played us through 16 carols, the first five around the outside tree with the frost forming all around us. The remainder were inside and everyone was fortified with mulled wine, a glass of wine, mince pies and snacks. John told us two stories from around the world during the second interval and everyone said how much they had enjoyed the evening afterwards. Thank you to all who helped, the band and those who travelled a distance to join us. Sydney, Australia, we think, is the new record. 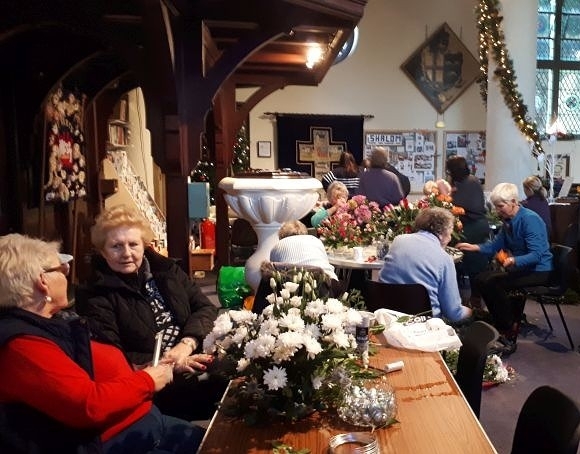 Flower and Wreath Making – 13th December, 2018. A large group of ladies had great fun today, flower arranging and wreath making. Coffee, tea, lunch and lots of Christmas goodies kept them going and Jean Jones, who organised the day, helped with the final, artistic touches. Much of the materials were provided, but you could also bring your own and there were spectacular results. An amazing £200 was raised, so ‘Well Done’ to you all.